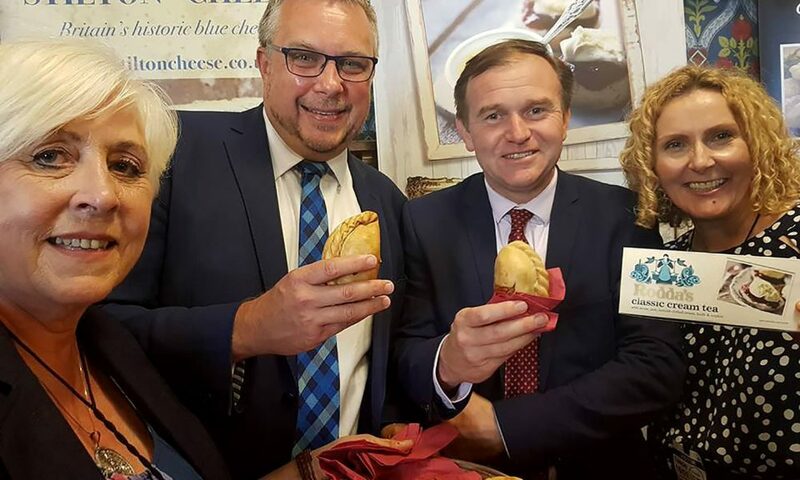 Cornwall’s two most iconic foods – Cornish pasties and Cornish clotted cream –- made their mark at a major gathering in Westminster attended by hundreds of MPs and government officials. The event, a showcase for the 80 or so protected food names from the UK, included products from the length and breadth of the kingdom, representing some of the finest regional foods. All are part of the EU’s Protected Food Names schemes, in common with other well-known foods from other parts of Europe such as Champagne and Parma Ham. On the day, representatives travelled from as far away as Stornaway in the Outer Hebrides, Shetland and Northern Ireland. Cornwall was one of the few counties showcasing more than one product, reflecting the importance of the scheme to the local economy. Our Association was represented by Elaine Ead of the Chough Bakery in Padstow, while Jo Hartop from Rodda’s represented Cornish clotted cream. Oyster merchant, Chris Ranger, also travelled to London to represent Cornwall’s less well known but equally distinctive protected name, Fal oysters. Protected status helps to ensure that specific foods cannot be copied and is invaluable in gaining them recognition as premium products. In a county such as Cornwall, where food tourism brings millions of pounds in income and is an important factor in attracting visitors outside of the main holiday season, this recognition of distinctiveness helps to put our local area on the map.